This entry was posted on March 18, 2019 at 3:02 pm and is filed under News, Ride reports. You can follow any responses to this entry through the RSS 2.0 feed. You can leave a response, or trackback from your own site. Those little plastic lane markers represent the extent of policing activity on Skyline. That overlook is notorious as a nighttime gathering place for street racers both autos and race cycles. The road surface is usually covered in “donut” marks from weekend extravaganzas. So the yellow markers are designed to prevent that. Thanks San Mateo! I’m hoping that we get more slides on 35 this year. There is still time. The single lanes with traffic lights are a good way to control speeders and we need more of them. There literally is no speed enforcement on 35/Skyline. MPROSD has a way stronger presence to enforce mountain bike trail speed limits in the surrounding Open Space than any CHP or sheriffs presence along this road. Highway 84 west is similar. 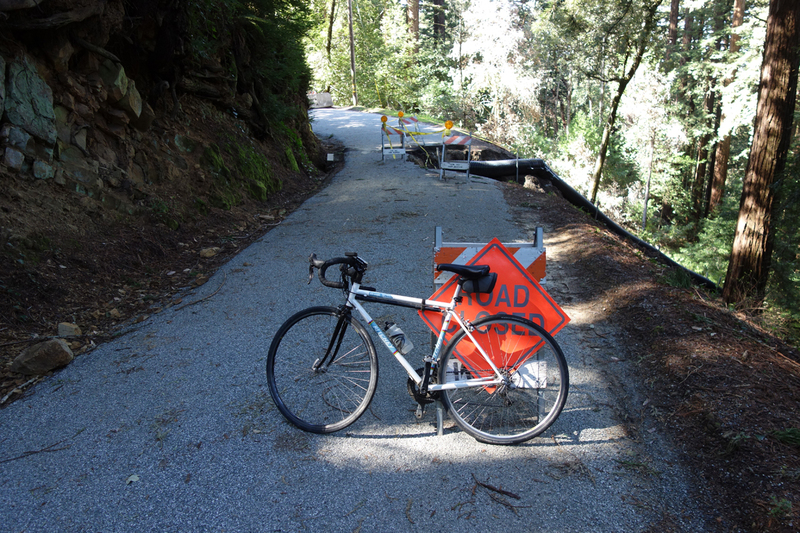 I avoid the Santa Cruz Mountains on the weekend. Traffic is not as bad as Marin County, but it’s getting there. Yes, we need lights every half mile. Residents would welcome them, and the speeders would hate it, maybe even go elsewhere. Another method to slow and reduce traffic is to let the roads become extremely potholed, like Highland Way. Most likely just two random weekends of speed enforcement per summer on 35 north of 9 would suffice. Santa Clara County Sheriff used to have speed enforcement events on 9 in conjunction with Saratoga and they gave out lots of tickets. Don’t think they do this anymore though. 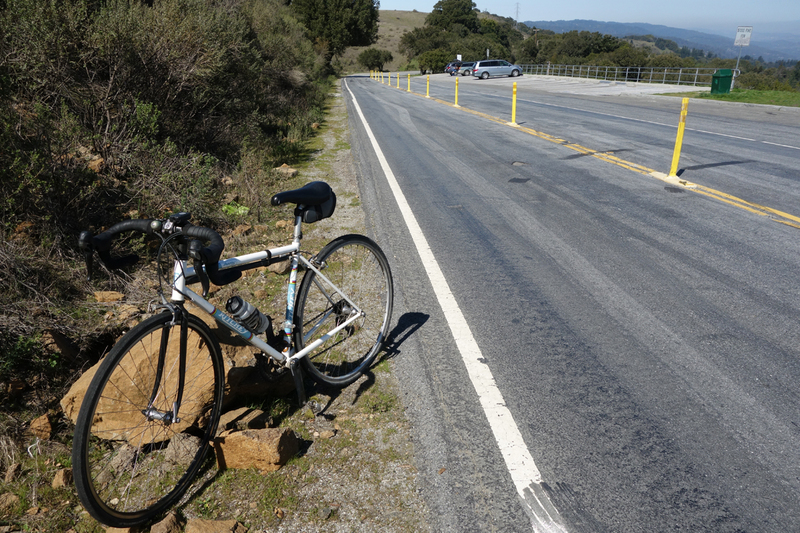 There are some still some excellent (calm) loops in Santa Cruz mountains on weekends though.